Good thoughts bring beautiful ideas, innovations, unique inventions and lots of creations. People who do not engage their minds to think are actually living their lives on waters. Wondering if this is true? Think about the heroes and heroines of today. None of them got their ideas without thoughts, fantasies, imaginations, assumptions and even dreams. But in every act, whether through imaginations or thinking, the mind was engaged. The entrepreneurial journey of Daphna Nissenbaum started on the platform of deep thinking and productive curiosity. 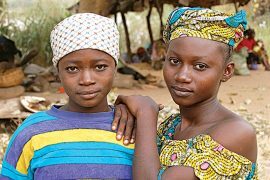 Having received her children back from school on a certain day, she realised that one of her sons did not come back with his bottle of water. She was worried because it drew her attention to the millions of “plastic bottles lying at the bottom of the ocean for hundreds of years” without any remedy to its usage. This got her worried and she kept thinking of a solution. She asked herself, “what can I throw into the waste bin without guilt?” this question was all she needed to end her days of worries, the answer was bio-degradable. These are organic matter in waste that can be decomposed into carbon dioxide, water, methane or simple organic molecules by either micro-organisms or other living things using composting or aerobic digestion. At this stance, she was ready to solve a world environmental problem of pollution. Glad about her remedy, she began to draft her plans. However, she was the CEO of a research center on capital markets and had worked as a software engineer at different times previously. Venturing into packaging plastics was a new deal for her, but she had this perfect idea of making beverage bags out of bio-degradable. This was new and very big and she was ready to take the bull by its horn by giving it all it takes to bring it to actualization. She met with her co-founder and discussed her idea to him, they set out to design perfect packaging bags that could be used by school children and students, athletes, adults and many others who consume contents of packaged products. They also went as far as hiring bio plastic experts to help them find the appropriate material that could be used for the bags. “After six months they came back to us and said that there was no biodegradable material on the market that was suitable for the bags. They suggested we come back in few years and make the same inquiry. We thought to ourselves: well, humanity landed on the moon, so how difficult can it be to make this bio-degradable bag? We had no idea then, how difficult this could be. That’s how Tipa, our company, was founded,” she said. Obviously, the establishment of Tipa did not come on a bed of roses it took time, research, energy and a lot to bring Tipa to existence, considering how rare it is to gather degradable. But Daphna had a vision, she was not ready to give up, she knew that it will not only solve the problem of her children littering packaging plastics around but will reduce the amount of waste that is gotten from food packaging industries. 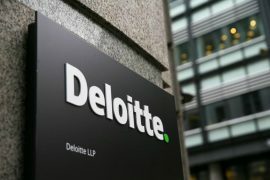 But as she continued to search for measures to tackle the challenge that seems to be limiting her prospective engagement, she realised two key things, “The first was that it isn’t that easy to develop a flexible biodegradable packaging solution. The gap between conventional plastic and biodegradable plastic is quite big and challenging. The second realisation was that the problem of bio-degradable or recyclable packaging was most prominent in the flexible packaging segment of the market, a segment that is huge and growing. I then understood that my kids’ water bottles were actually the smaller part of the problem, a drop in the ocean of the packaging industry…” she thought. Plastics are equipment used by industries to package beverages over several decades, and it is very convenient and easy to use. But the pollution that comes along with them is very deteriorating because they litter the surrounding and cannot decompose even in many years to come. they can only be moved from one place to another put them away will mean burning or burying which are not better solutions either. A possible solution is recycling but this method is very limited. It is limited to just the rigid packaging, such as bottles. The other flexible packages because they aren’t made from polymer and they are made of several layers of materials, they are not recyclable. This is a huge problem because the amount of waste that is produced by the food industry is huge, Food-related plastics waste makes up 66% of the volume of plastics waste and 50% of the weight of total packaging waste. Yet there is no appropriate solution to this problem because more food is being packaged and more waste are generated. This is the point where Tipa plans to dominate. The vision of Tipa is to Create a compostable future for flexible packaging. According to Daphna, “Imagine that your package was just like an orange peel, you eat or drink your food and your package just goes into the organic waste stream. It would decompose in the same way as organic waste and leave nothing (except fertiliser) behind. Nonetheless, biodegradable products are now being produced more than before, in form of waste bags, shopping bags, disposable utensils, etc. 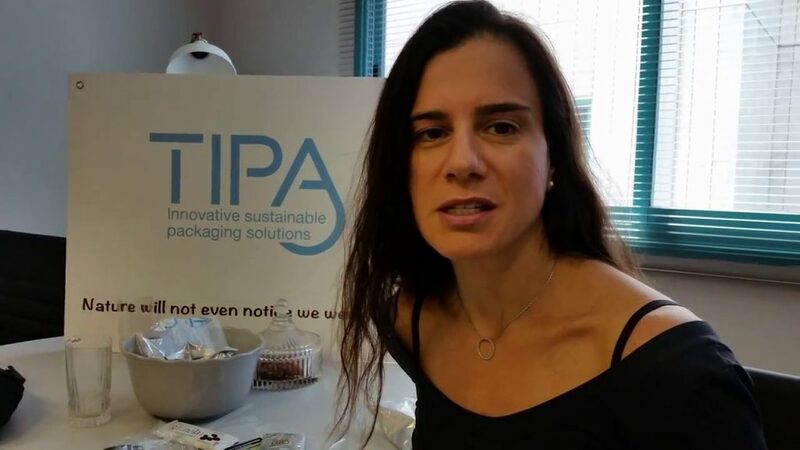 So, Daphna’s company is engaged in creating similar compostable plastic and bringing new properties to the material with the aim of “making the experience of choosing Tipa products seamless”. Tipa’s packaging solution offers a way to treat packaging like an organic waste, like a creation of nature, like an orange peel. This is a new way of thinking and handling our packaging waste. The infrastructure is there – we just have to integrate into it. I believe that in the future the only place for flexible packaging will be in the food waste stream, and this is where it ought to be. Get into the compost system, decompose, and go back to nature. Just like an orange peel. In this future world, the piles of plastic that we use for packaging will disappear within a short time. The world will take care of its waste. This is the legacy I would love to leave for generations to come,” said Daphna.